We are specialized in the reliable maintenance of industrial properties and large estates. Residential estates, including smaller properties in town, also provide rewarding results for their esthetical stand-out in the neighbourhood. Prompt delivery of substantial, seasonal services, provided professionally in a timely fashion, is our main purpose and strongest motivation, placing our company way ahead of the competition. In the period of 23 years of gradual growth in the Ottawa Valley, we have accomplished extraordinary results, placing us ahead in the industry. The experience in operating our business, backed by superior, top of the line commercial equipment accessible only to those well established on a national level, has placed us ahead in the country. All of the above, combined with our dedication to do the job right and healthy, sound work ethics, places us in the centre of the loyal, repeat clientele. 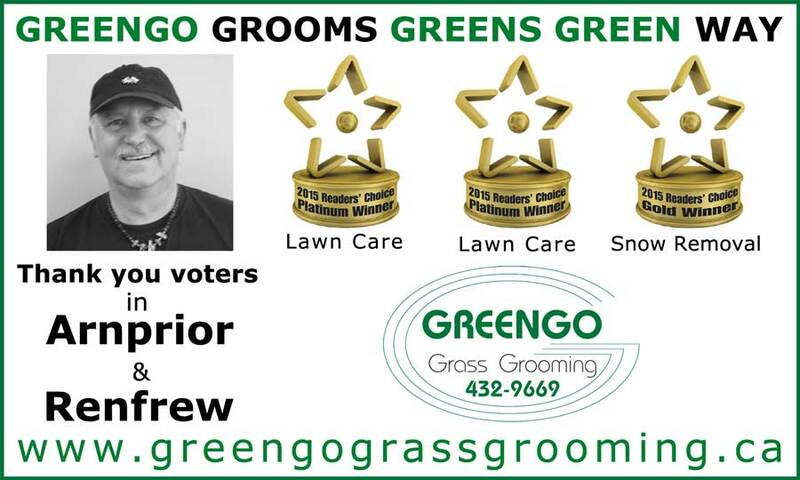 Specializing in reliable maintenance of industrial properties and large estates, Greengo Grass Grooming delivers upscale services to major industrial, commercial and retail companies as well as residential and cottage care recipients. 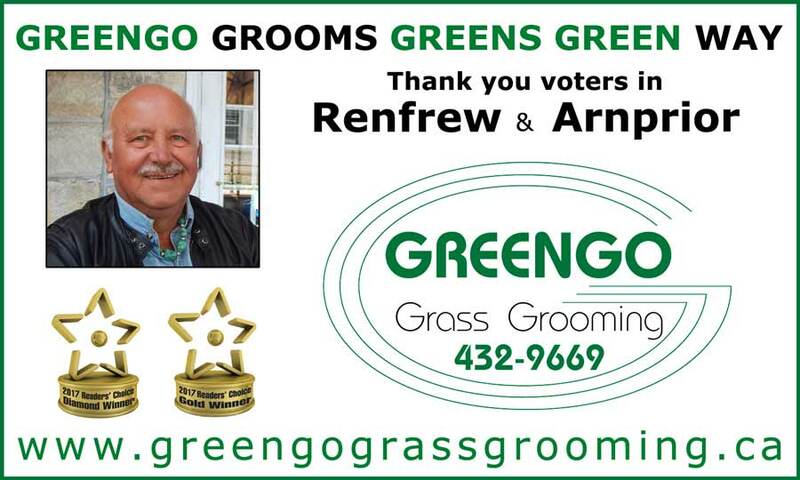 We are honoured to be selected by "Renfrew Mercury" readers and our area clients to the foremost position in the industry. 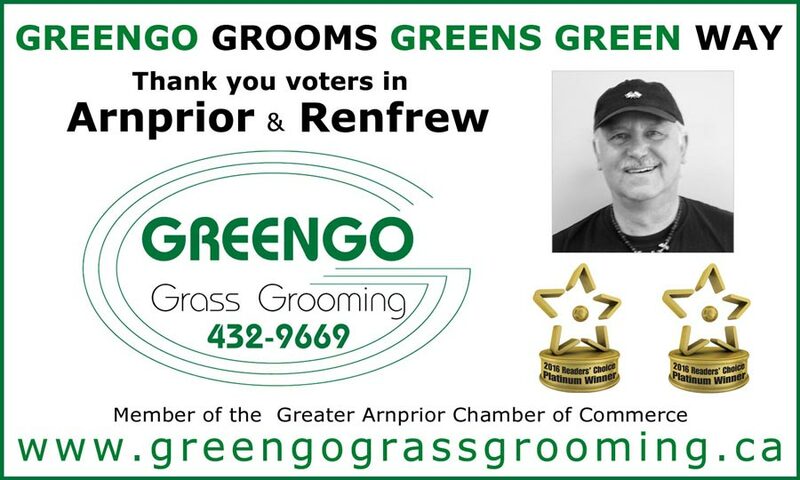 On our 20th Anniversary, the 2014 Readers Choice Diamond Award is a confirmation for Greengo in the field of beautifying the Valley. We have been within the "Top Three" since the inception of this constructive contest designed to forge a stronger economy while working together towards an even higher quality of life associated with the excellent work and business ethics omnipresent in our area. 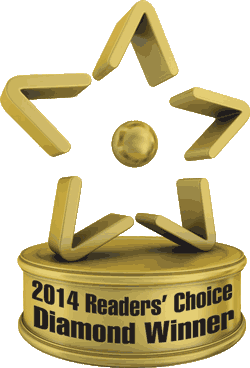 We are contributing directly to the sparkling image and brighter position of our community on the map. We’re well equipped, we work hard, we are being seen by many and we all look good. We're fortunate to live and work in the best maintained towns, also being taken care of by our competent colleagues in the lawn care and landscape industries and all residents, who display so much pride and joy in the aesthetic presence of their homes, properties and lawns. 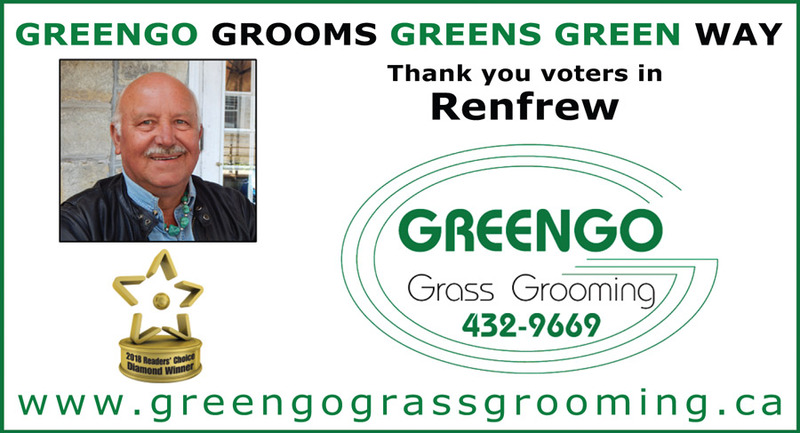 We’re delighted to be entrusted by the readers of Metroland newspapers as leaders in this collective effort in Renfrew and Arnprior, the jewels of the Ottawa Valley. The DIAMOND ones. Thank you all.